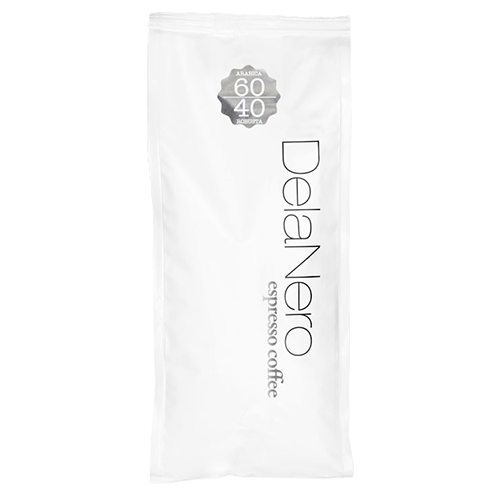 DelaNero Espresso 60/40 is a blend of Arabica coffee beans from Brazil, Nicaragua and El Salvador. Also Robusta coffee beans from Uganda have been added, creating a strong espresso with a pleasantly bitter character with a nutty finish. To tease out the best in this combination of beans, the beans are drum-roasted slowly and packaged immediately so that you will have a complete experience.